Libman All-Purpose Floor Dust Mop Refill are resilient machine washable pads that are superior for cleaning floors. You can easily alternate between wood and tile floors. 6.5" x 18" microfiber cleaning pad made of synthetic and cotton blend. Reusable and machine washable microfiber cleaning pad. 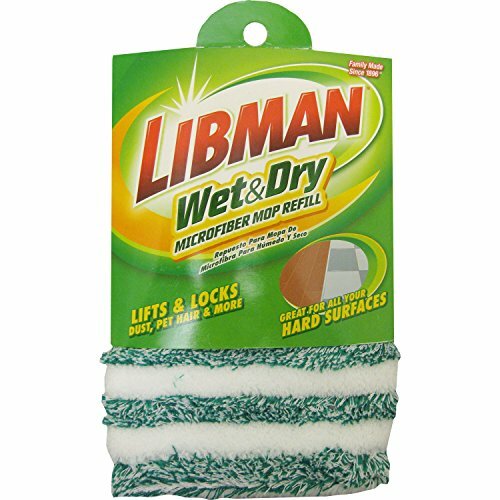 If you have any questions about this product by Libman, contact us by completing and submitting the form below. If you are looking for a specif part number, please include it with your message.